I want everything covered so I have worry free operation at a fixed monthly cost. Our 4 standard service plans and the benefits of each are detailed below. To help you choose the plan that’s right for you, we’ve also included a comparison chart. This basic coverage verifies operational functionality of the HVAC systems, visually checking for worn and failed parts, as well as filter changes. 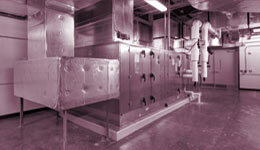 The middle ground of our offerings provides for enhanced maintenance tasks such as cleaning of coil surfaces and condensate pans, calibrating operating and safety controls, lubrication of motors, tightening of electrical connections, filter changes and ensures that the unit is operating per the manufacturer’s specifications. This program also protects the building owner’s investment and extends the HVAC equipment’s useful life, thereby maximizing operating efficiency and reducing operating costs. In addition to our Preventive Maintenance, this program provides a fixed annual cost that includes the REPAIR AND REPLACEMENT labor and parts including refrigerant, as well as emergency trouble calls. 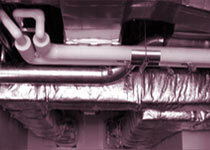 It covers all components and parts of the HVAC equipment (i.e. : compressors, motors, contactors, coils and heat exchangers). Our most comprehensive package includes all the features of the Full Coverage plan, PLUS provides for the replacement of equipment that has exceeded its serviceable life – all at one fixed annual cost. Providing you with a comprehensive range of HVAC and plumbing services including emergency and on-demand services, custom planned maintenance programs, equipment replacement, energy management, and multi-site service to keep your facility up and running 24/7/365.